I have been considering the word "unrest". It all started because I read this article about the government leaders in Delhi scheduled to meet regarding the situation in Kashmir. It mentions the "three-month-long unrest". So, in contrast I took the word "rest" and equated it to "sleep"--because that's the kind of rest I like best--and then thought: Kashmir hasn't slept in three months. What if I hadn't slept in three months? I would not be thinking clearly. I would be stretched far beyond my limits. It was supposed to be a holiday this weekend. It's Eid. The end of Ramadan fasting. There should be lots of eating and celebrating and visiting friends and relatives. Instead everything is shut down, and the protests continue. If you burn the electricity office--I think to myself--then you can't pay bills, etc., your power will be shut off, and then where will you be? What kind of Eid celebration is that? 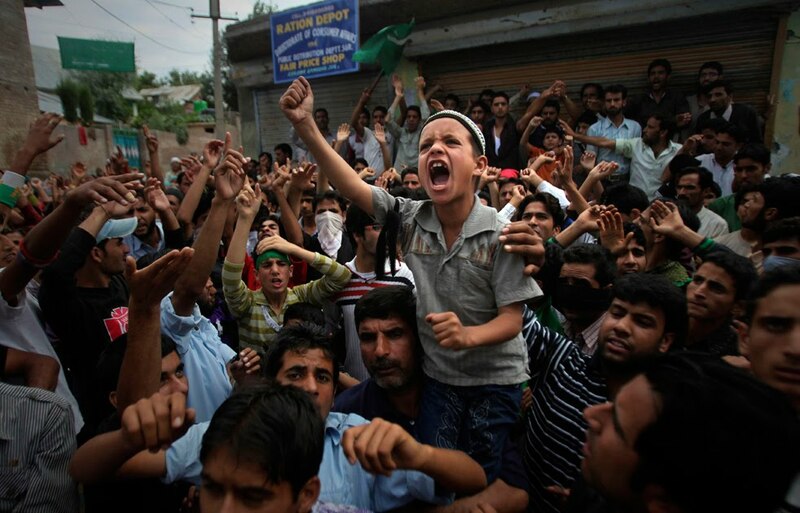 Listen up, World: Kashmir is begging you to pay attention.